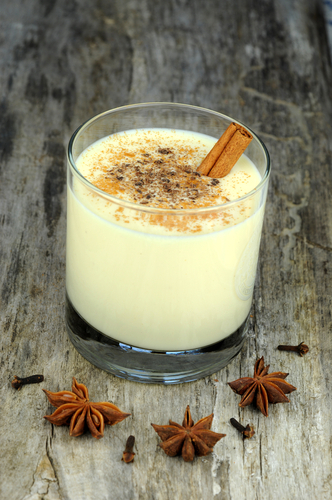 Egg nog is a drink that is synonymous with fall and winter celebrations. pregnant women can prepare a healthy winter egg nog at home in no time. Add non-fat milk, sugar, cinnamon, nutmeg and cloves and mix until well-blended. Pour into a large saucepan and bring to a heavy boil over medium high. Strain healthy winter egg nog through a strainer to remove any egg pieces. Cool in the refrigerator overnight before serving.